Day 15 of 365, a photo by Gordon McKinlay on Flickr. This is the start of the third week of the photo a day challenge for 2014. It has been a bit of a struggle today due to the business of life. 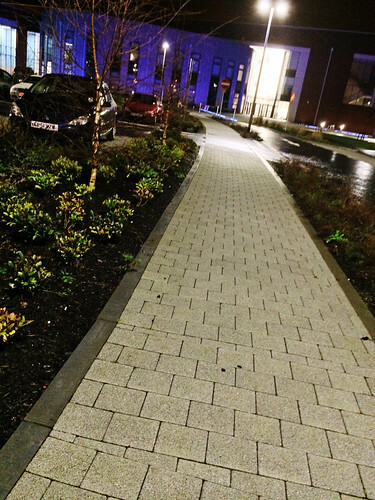 As I headed to my latest meeting of the day this evening I noticed the colours and lines of the lights, building and footpath so here is my attempt for day 15. This entry was posted in Professional and tagged 2014, challenge, Flickr, January, journal, one a day, photoaday, photography, project 365 on 16 January, 2014 by Gordon McKinlay.